I’m back with another delicious leftover turkey recipe. I know this doesn’t look like your typical mac and cheese; if you’re from the south please don’t hurt me!! 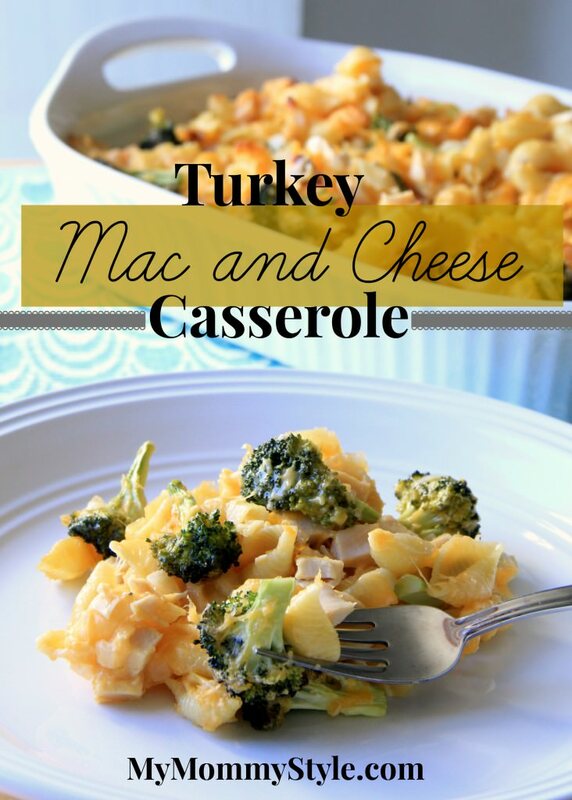 If you want we can just call it a cheesy turkey casserole. Either way, it’s delicious. I did try to make it a little more healthy and cut out quite a bit of the butter, cream, and cheese and by adding some broccoli, you are welcome to add more if you want it creamier. Bring a large pot with cold, salted water to a boil. Add the pasta to the boiling water and cook for less than the recommended time, 5-6 minutes. Pour the pasta into a strainer and set aside. Meanwhile, butter a large baking dish, 9 x 13″ or larger and preheat the oven to 375 degrees. In the same large pot, cook the butter over medium-high heat. Whisk in flour, cook for a couple of minutes, and then gradually whisk in the milk. Turn heat to low, add the diced onion and cook for 2 minutes. Add the cheeses, salt, and spices. Then add the broccoli and turkey, and then fold in the pasta. Remove from heat. Spoon everything into the the baking dish, and bake at 375 degrees for 45 minutes. Let stand and cool for 15 minutes.